It is not a secret that Sachin Tendulkar, one of the most celebrated cricketers in the country has a thing for super-cars collections. He owns a number of elegant cars with many BMW's and the BMW i8 Hybrid as the latest in his kitty. Also interestingly, he is the current brand ambassador for BMW in India. But this is not the first time that the cricketer has sold a collectible. In 2011, Sachin sold his Ferrari 360 Modena which he got as a gift from Michael Schumacher on scoring 29 test centuries ( matching Don Bradman;s record ). He bought the Nissan GT-R just after he sold his Ferrari. Sachin has sold his Nissan GT-R to an automotive car collector and enthusiast based in Mumbai. The Nissan GT-R is a special edition with an after market bodykit from Japenese tuners Wald. 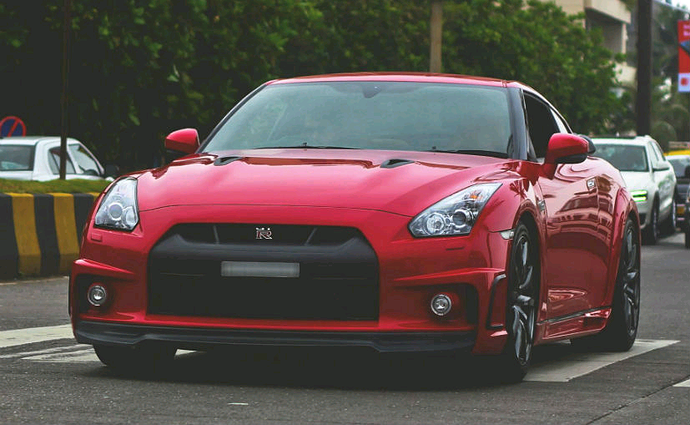 The car belongs to a previous generation of Nissan GT-R before the facelifts and power upgrades. The car collector has added a set of BBS wheels to the GT-R R35. When launched, the car had an ex-showroom pric tag of INR 1.99 crores. The car has a top speed of 320 kmph and makes it from 0 to 100 in just 3 seconds.